Alex is big and beautiful and always seems to have something to do. Usually it is crawling from here to there, practicing his walk and trying to teach the other puppies how to play. If he wants to go somewhere and I am in the way he will just crawl over my back rather than go round. He is also the pup who most frequently escapes from the box. He likes nothing better than finding one of his brothers or sisters and just plonking himself down on them and falling asleep. Alexander the Big is what my people have called him and he is by far the biggest of the litter. He also seems to be first to do many things and is now busy teaching himself to walk. This short video shows him crawling around our back garden. He is also practicing hugging me and growling at my people if they try to punch his bottom. They should not be doing that anyway. You can see Bonnie come in to check on Alex. He is the sort of pup we have to keep an eye on. We love him. When Rusty asked me to guest write a blog for The Intelligent Dog’s Guide to Humans I was very honoured but I had no idea what to write about. I am more of a dog’s dog than Rusty and I am not used to all this blog stuff she goes on about. She told me the other day she had put my picture on a book of faces or maybe a face of books. Anyway I had no idea what she was barking on about. Apparently Rusty and thousands of other corgis are on this website and they appear to spend their time looking at my picture and saying how much they like it. Strange but I suppose it is understandable! I am much more practical than that and this is why in my first blog post I would like to deal with cars and how an intelligent dog can drive one. When Rusty and I were pups we moved into our house in Warsaw. 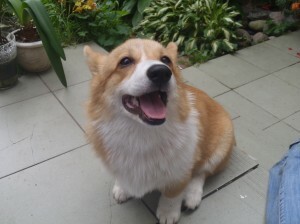 There was a wonderful Corgi lady living there already called Itek. She was a very beautiful Pembroke Corgi and thought us many things. Rusty has already written about Itek who died last year and Rozsia who died in 2011. http://intelligent-dog.com/dog/photos-2/ One of the things Itek thought me is how to drive a car. Itek giving me a driving lesson in a red car. The first thing I learnt about cars is that dogs don’t go for any old car. We are not car snobs but a dog has to look good in the car and must be able to stick its nose into the wind. A convertible sports car is ideal for this. I believe that the best models are the red ones. They look very well and never cause problems. 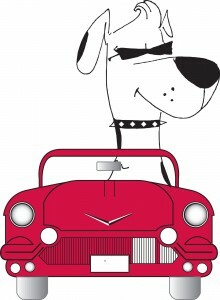 Some of my dog friends recommend a type of car called a red Ferrari. I am sure your humans will not mind going out and buying you one. There is a secret to dogs driving cars and it is very simple. You need more than one dog to drive. One dog will sit where the pedals are and control the gas and brakes while the other does the steering. When you come across a dog driving down your street you will only see the one who is steering. Many humans cannot believe what they are seeing. 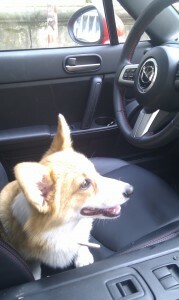 How can such a small dog drive a car? Well now you know – there are two of us. As you probably know if you read Rusty’s blog we have a very nice cat in our family called Sasza. 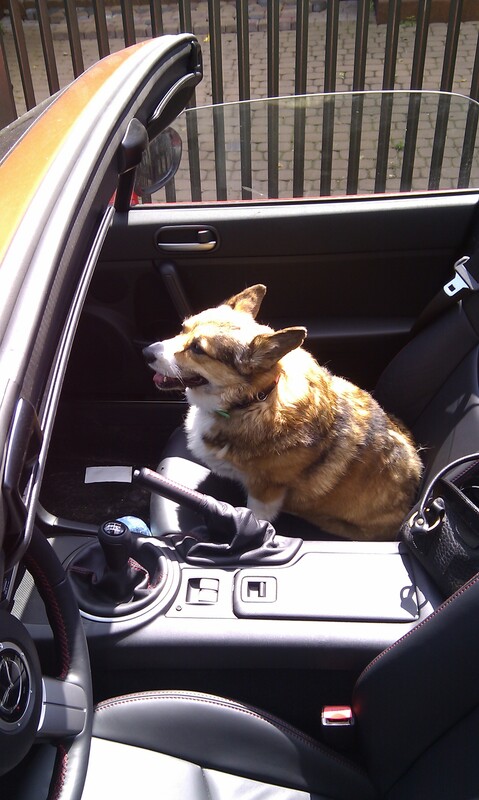 She often asks if she could drive the car with us. When it comes to driving there are two problems with cats, they are very light and they sleep a lot. Sasza could get on the pedal and push it gently. When she concentrated she would be able to push it hard enough to get to 10 miles per hour. But next minute she would fall asleep. She would still be pushing against the gas pedal but only gently enough for the car to do 5 mph. I would have to keep driving for half the day waiting for her to wake up so we could stop the car. If your cat suggests she can drive do not fall for it. Humans have all sort of strange rules for driving. In one country the car turning to the right has the right of way. In others it is the car which arrives at the junction first that has right of way. In our country we drive on the right hand side of the road. In the ancestral home of corgis, Wales, they drive on the left hand side. Traffic lights are a problem for dogs as it is difficult to make out the colours. My advice for all of this is to avoid police vehicles and stick to country lanes. This car is smaller which makes it the right size for a dog. Driving is not so difficult for the intelligent dog. I have often been asked what the most difficult thing about it is. Well there is one thing that causes me a particular problem and I know the same is true for other dogs. It is impossible to put the key in and start the engine with your paw. I think this fact alone counts for the excellent canine driving safety record. I would like to introduce Bonnie who will occasionally be joining us a guest blogger. 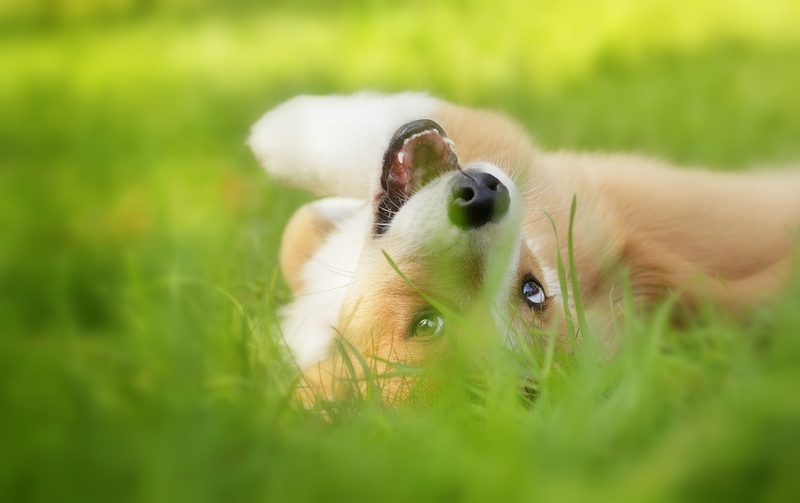 Bonnie is Pembroke Welsh Corgi so together we will have the two important world views (Cardigan and Pembroke). I know you will enjoy reading her blog posts. The Intelligent Dog’s Guide to Humans.